We love it when customers come to us with special requests! That’s just what happened when a local brewery asked us to work with them to design this special CIP cart. Our expert Sales and Engineering team worked alongside the customer to find out exactly what their needs were and we not only met, but exceeded them! This beautiful cart can be conveniently moved thru the plant for easy storage and brought back out to the floor when it’s time to clean. 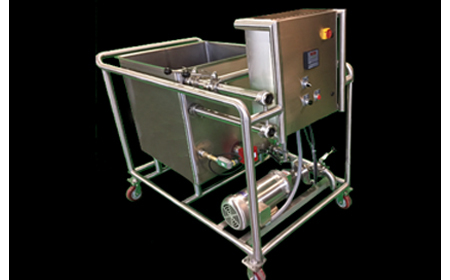 These carts can be fully customizable to meet all of your processing needs. Contact your OCS representative to set up a meeting with our experienced engineering team to create a custom CIP system or skid specially designed for your plant requirements.